Generally speaking, an employee who is injured while driving to or from work is not protected by Pennsylvania’s workers’ compensation laws. The rationale is that the employee has not yet started their workday and is not yet furthering the business interests of their employer. This is often referred to as the “coming and going rule” and operates as an exclusion to workers’ compensation coverage. Sometimes the “coming and going rule” does not apply and an employee injured while traveling will be eligible for workers’ compensation benefits. Exceptions to the coming and going rule exist when: (1) the employee has no fixed place of work; (2) the employment contract includes transportation to and from work; (3) the employee is on a special assignment for the employer; or (4) special circumstances are such that the employee was furthering the business of the employer. Does the employee operate a company vehicle? Does the employee take his work vehicle home? Is the work vehicle part of the employee’s compensation package? Is the employee “on call” outside of usual business hours? Does the employee report to a single, stationary job site each day or can his worksite vary from day-to-day? Does the employee receive travel time or mileage reimbursement from his employer? Was the employee carrying out an errand at the request of or for the benefit of his employer? 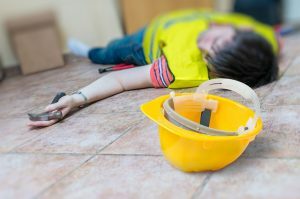 Anyone who is injured while engaging in activities even partially related to their employment relationship such as commuting or traveling should take care to have their potential claims reviewed by a legal professional who understands the unique nuances of Pennsylvania Workers’ Compensation law.